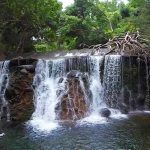 (Honolulu) --The Commission on Water Resource Management (CWRM) is holding open hearings to solicit input on its update to the statewide Water Resource Protection Plan (WRPP). The purpose of the WRRP is to establish policies and identify actions needed to ensure the long-term protection and sustainability of Hawaii’s precious and limited ground and surface water resources. 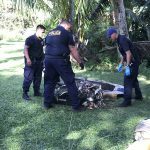 (Honolulu) – The decomposing carcass of a sperm whale, at last report, has moved to a location about eight miles south of Pearl Harbor. This despite it being towed 15-miles off shore after it landed last week on the reef adjacent to the Sand Island Recreation Area. (Honolulu) – A cooperative operation between city & county, state, and federal government agencies resulted in the successful removal of a decomposing whale carcass from shallow waters fronting Sand Island State Recreation Area. (Honolulu) – More than 500 Aholehole confiscated from a pair of fishermen eight days ago did not go to waste. Many people inquired on social media about the fate of the fish. The DLNR Division of Conservation and Resources Enforcement (DOCARE) photographed them for evidence and then turned them over to the Division of Aquatic Resources’ (DAR) Anuenue Fisheries Research Center at Sand Island. 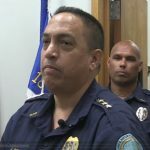 (Honolulu) - Jason Redulla, a 15-year veteran of the DLNR Division of Conservation and Resources Enforcement (DOCARE) and 27-year law enforcement professional, has been chosen as the agency’s new enforcement chief. Redulla currently serves as DOCARE’s Deputy Enforcement Chief and Assistant Division Administrator. (Honolulu) – On Thursday, officers from the DLNR Division of Conservation and Resources Enforcement (DOCARE) were on routine patrol in windward O‘ahu when they observed a lay net violation in progress. This was on Kawa Stream, just makai of the Kahana Bridge. 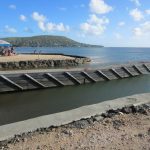 (Honolulu) – The DLNR Division of Boating and Ocean Recreation (DOBOR) has closed the public loading dock at the Maunalua Bay boat ramp in east O‘ahu. Engineers are condemning the dock due to structural failure. They report the concrete pier structure could collapse into the water. 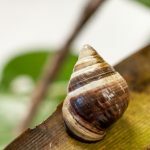 (Honolulu) –The last known Achatinella apexfulva in the Hawaiian Islands, “George,” died on New Year’s Day, 2019. George was approximately 14 years old and his name was derived from the Pinta Island Galapagos tortoise, “Lonesome George,” also the last of its species. 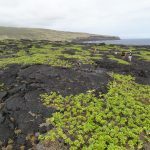 (Honolulu)–A New Year is coming, do your resolutions involve shaping the future of Hawai‘iʻs natural areas, cultural and historical sites, agricultural production, and other public resources? The Department of Land and Natural Resources (DLNR) seeks three volunteers to join the Legacy Land Conservation Commission, for a term of up to four years. (Kailua-Kona) – The Department of Land and Natural Resources is reminding the public that West Hawai‘i State Parks will close early at 5 p.m. on Monday, Dec. 31, 2018, New Year’s Eve. Parks closing early include Hāpuna, Kīholo and Kekaha Kai (Mahai’ula and Kua Bay sections).